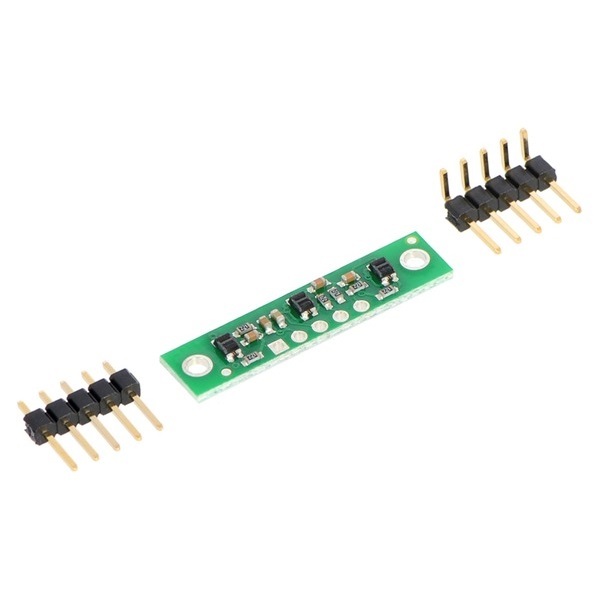 The Pololu QTR-3A 3 Channel Analog IR Infrared Reflectance Sensor is designed to simplify line tracking operations. 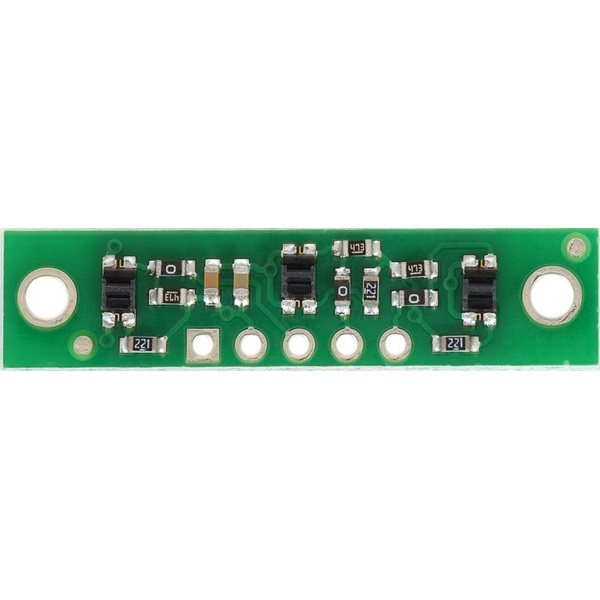 Each of the three infrared reflectance sensors on this tiny module provides an independent analog output. Lines are detected by measuring the amount of voltage from each analog channel. Dark colored surfaces that reflect very little light will output higher voltages than lighter colored surfaces. This allows your robot to detect a black line drawn onto a white surface. 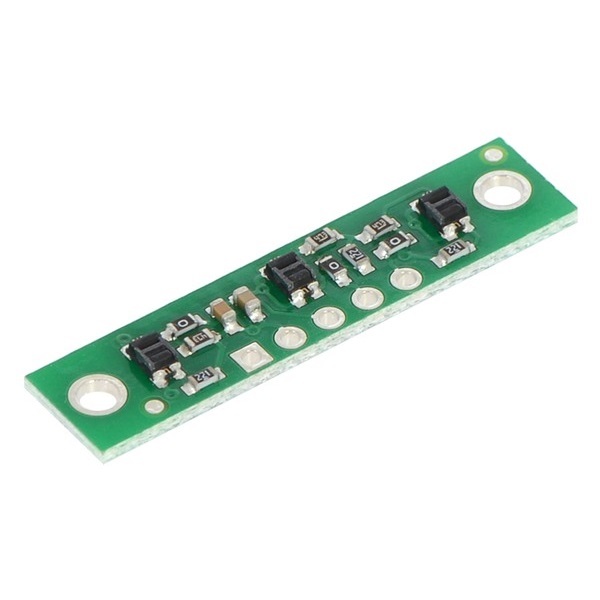 This module is designed for use with 5V microcontrollers and consumes about 50 mA of power. The maximum recommended sensing distance is about one quarter of an inch (6 mm) with an optimal distance of about one eighth of an inch (3 mm). 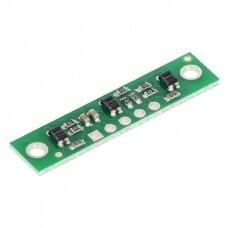 Power this module using a 5V power supply and attach the three output channels to any analog inputs on your robot's microcontroller brain. Read the analog values to determine if part of the sensor is positioned over a black line or a white surface. The higher the value read from the input, the darker the color under the corresponding sensor. This sensor is very easy to use. 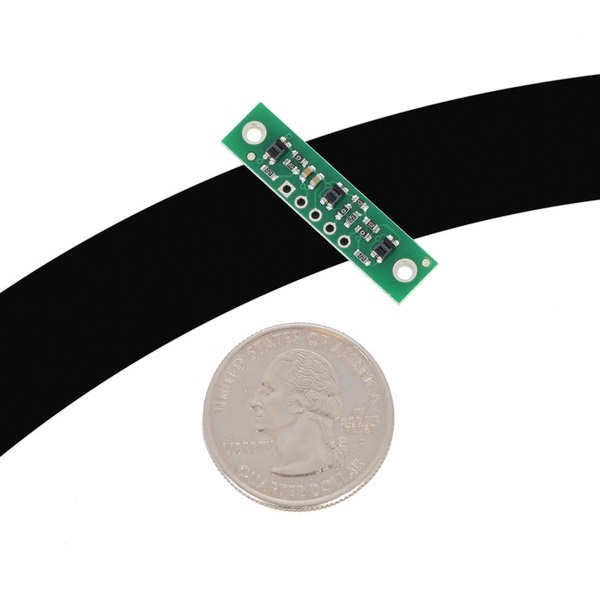 This sensor is supported by the Pololu AVR Library for Orangutan Robot Controllers. An Arduino Library is also available to simplify integration with your Arduino robot projects. 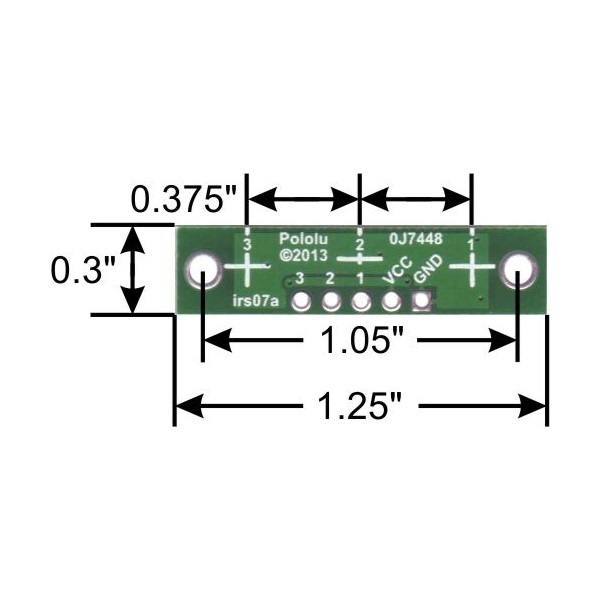 This package includes optional straight and right angle male headers that require soldering.